To climb at the Crux you must be 7 years or older. If Crux climber has not been here in a year's time, he/she must go through the safety and training class again. A parent or guardian must sign a waiver in the Crux for climbers under 18yrs of age. For every child that is under 10 years of age their must be a ratio of one child to one Crux Registered Adult (18+ years of age). 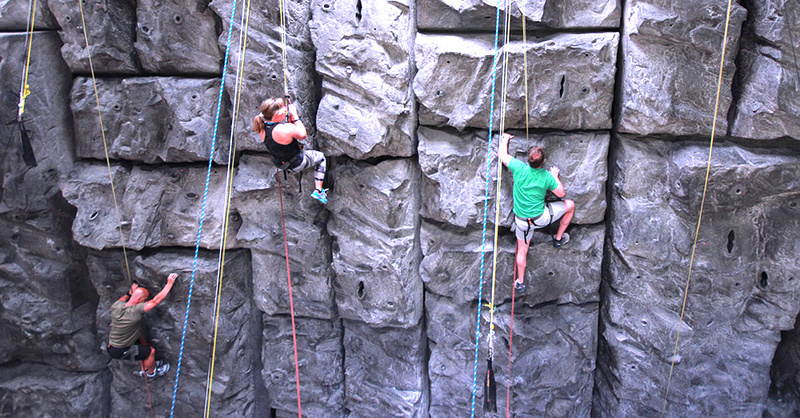 13 and under must be accompanied by an adult that is a Registered Crux Climber. Form 417 is only used for scheduled events. For unscheduled public use, climber must fill out Form 100 available in the Crux Climbing Center.